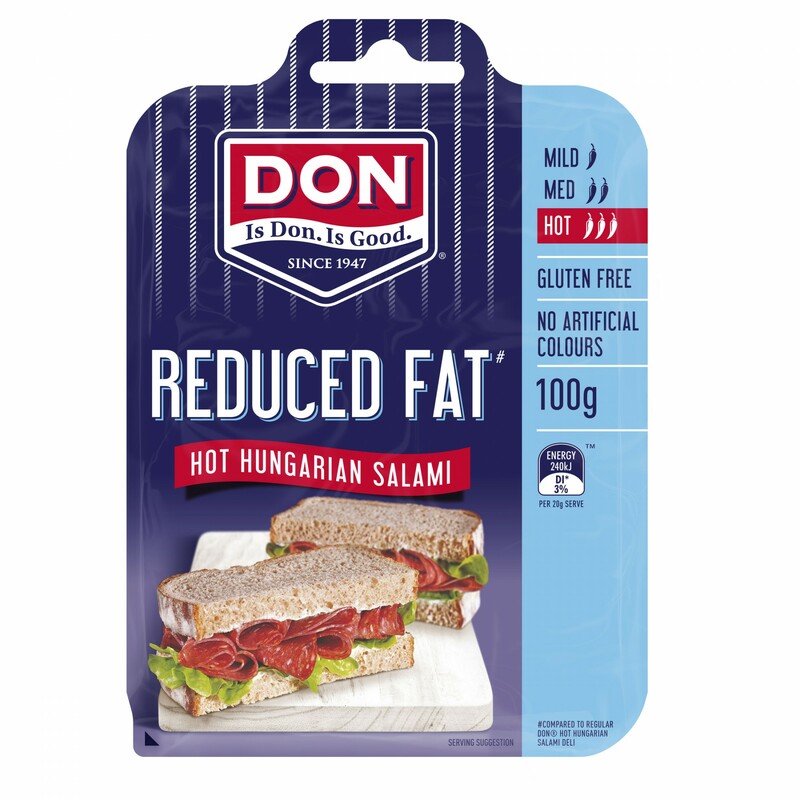 This hot Hungarian salami is specially made to reduce the fat content without losing any flavour or real chilli heat. The perfect flavour addition to any meal occasion. 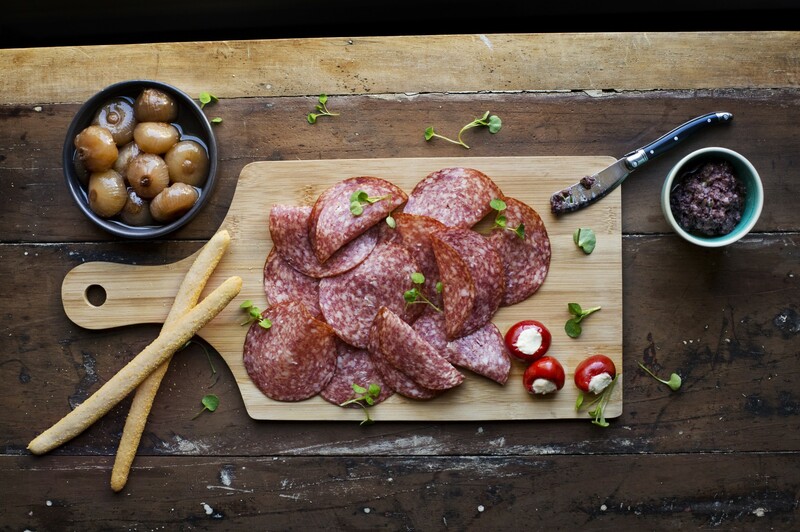 Meat Including Pork (86%), Salt, Potato Fibre, Sodium Caseinate (Milk), Chilli (1%), Spices, Dextrose (Maize), Flavours (Salt, Maltodextrin, Dextrose, Flavouring, Spice Extract), Sugar, Antioxidant (316), Fermented Rice, Sodium Nitrite (250), Sodium Nitrate (251), Dehydrated Vegetable, Starter Culture, Herb Extract. Smoked.